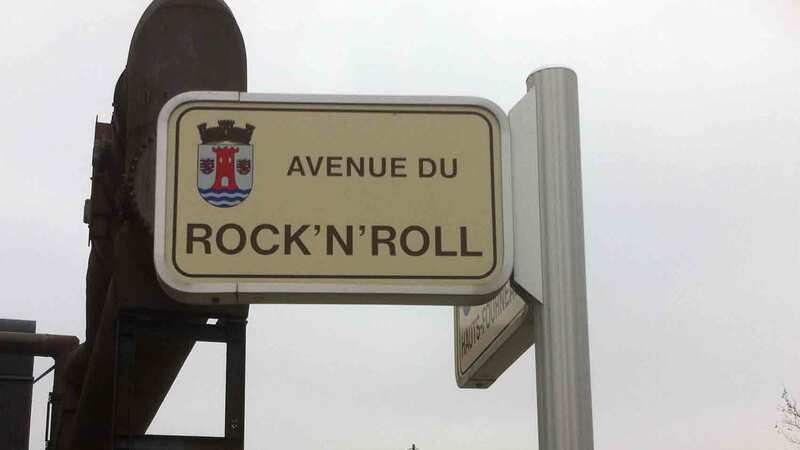 You cannot fail to love a country whose Ministry of the Environment is to be found in Avenue du Rock’n’Roll. Nor can you fail to love a country where a mid-morning amble brings you upon a crowd of a hundred or so people staring through lens and visibly excited. This blog is, after all, all about the wonders that you see when you stare through a lens. Avenue du Rock’N’Roll, Esch–sur-Alzette, Luxembourg. I’m in Luxembourg. I arrived yesterday for a meeting and today I had some time before my flight to explore the delights of Luxembourg City. The hundred or so people that I encountered were in the courtyard of the Musée National d’Histoire Naturelle and they were looking at the solar eclipse. It was telescopes, not microscopes, that were the source of the excitement. There is something embedded deep in our natures, I guess, that makes the enormous so much more fascinating than the tiny, even though the minuscule, un-noticed bugs that fill our planet have far greater – and mostly beneficial – effects on us than you could imagine if you subsist on a diet of television natural history programmes. Left: eclipse spotters in Luxembourg City, 20 March 2015; right: the eclipse, observed through a pinhole camera. Perhaps we should see Brian Cox and Dara O’Brien as the latest in a long line of sun priests that extend right back to the Ancient Egyptians, and probably long before. The Egyptians did not need high-powered science to work out that the sun was the origin of all life on our planet. Science, perhaps, only adds to this sense of wonder. Pause for a moment before you next marvel at astronomical wonders: were it not for the sun and that wonderful molecule chlorophyll, we would all be no more than a bottle of carbonated mineral water. The biblical King David got it. He sat on dark hillsides and contemplated the night sky and Psalm 19 is his response to what he saw (“The heavens declare the glory of God, the sky proclaims the work of his hands …”). If this is what a man writes staring up at the cosmos with his naked eyes writes, what would he have written, had he had a telescope? And what would he have written if he had been able to stare down a microscope, too? Forty percent of all primary production on earth, plus all of the decomposition and nutrient recycling that bacteria and fungi provide, not to mention the creation of the oxygen-rich atmosphere that enabled life on earth to flourish in so many extraordinary ways? That, surely, deserves a psalm. Two posts in a day? Sorry about that. It will not happen again for some time, I promise.